Give him a gift for all he has done for you. 4 How to Tell Your Boyfriend You Are Very Sorry if He Won't Talk to You? It's too bad that you cannot get inside your neurosurgeon's head. If it were possible, then you may be able to pick the perfect gift for him. He is the skilled doctor who performs a range of procedures, centered around the nerves, spinal column and head. His work expands the quality of lives in unspeakable ways. Consider his profession, but don't forget his personality when selecting a gift for him. One of the greatest gifts you can give your neurosurgeon costs the very least. Put pen to paper and write a sincere letter of appreciation to her. Even when words cannot express the extent of your thanks, try to convey some of the feeling you have. Let your neurosurgeon know how she has perhaps changed your life. She will at the very least have improved the quality of it. The very nature of her job shows that she is filled with compassion. This heart-felt gift will be much appreciated. Put a smile into his hectic day with a fun gift. A T-shirt with the question, "Neurosurgeon or Ninja?" should be a hit in the locker room. Just for fun, get him a mug with "Neurosurgeons - Just like regular people, only smarter!" printed on it. If he ever wears a tie, buy him a silk one printed with surgical instruments. For more casual attire, find him a baseball hat that pleads with people, "Trust me, I'm a Surgeon!" Doctors need pens. Consider giving your neurosurgeon an excellent quality writing instrument. She can choose to use it at work or at home. Make sure that you have it engraved with her name on it, or perhaps a personal sentiment. It's a very practical gift for her, yet chosen wisely, it is a sophisticated choice. 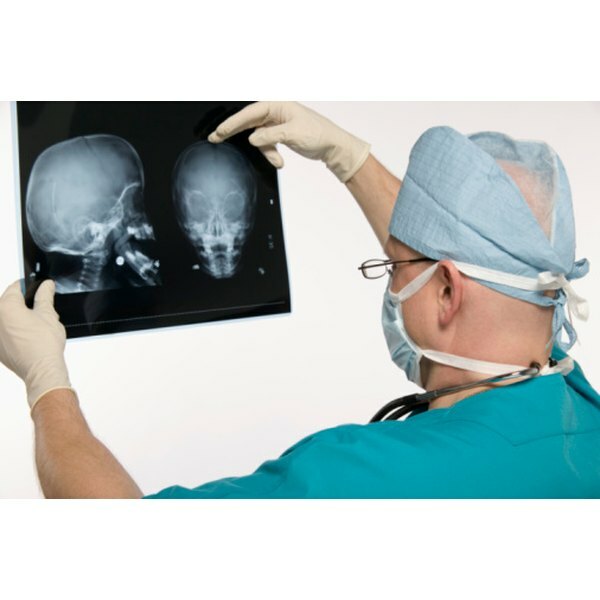 In most cases, a neurosurgeon will feel passionate about his career. Enough so, that gifts that further research in the field of neurosurgery will be very much appreciated. Consider making a charitable donation in the name of your neurosurgeon. The hospital that he works at will welcome monetary gifts, improving the lives of many. These donations help to sustain research projects or to provide care for patients who may not receive it otherwise.